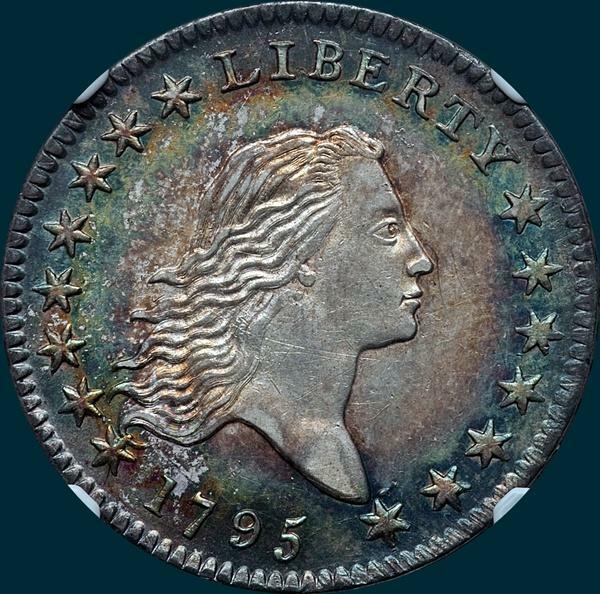 A fairly common variety with a group of MS coins available. O-119 makes frequent appearances at auction, and there are a couple of spectacular high grade examples that have made appearances recently. Variety Attribution: Obverse-Point of star 1 pierces first curl near center and end of the curl is frayed out. Point of star 2 and second curl are close. Stars 8 and 9 are about equal distace from L and Y. Star 15 1/4 mm. from bust. Date is 8 1/2 mm. An elongated die defect lump above point of star 15 and point of bust. most specimens show a die crack from edge through star 15 to bust. Reverse- 18 Berries 9 left and 9 right. .Point of leaf touches left base of I in UNITED. 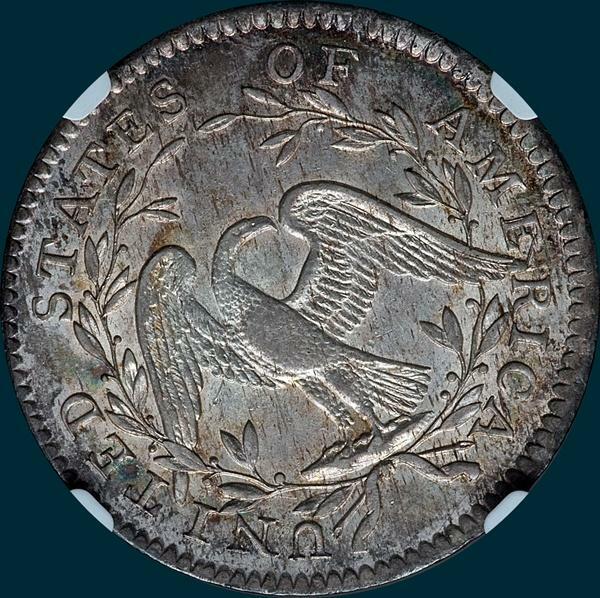 The only 1795 reverse so found. There are tow die defect lines from tip of right wing, one to top of E and the othr straight out to join defect line from serif of R. I in UNITED recut, E in AMERICA recut at lower left serif.